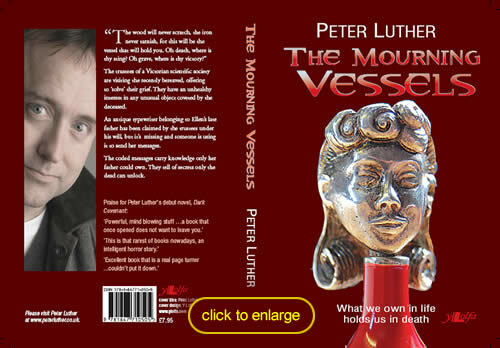 The Mourning Vessels is Peter's second book. The publication date is 21st October 2008. In the meantime, below you'll find the Synopsis and a link to download the first two chapters. As always, Peter welcomes your comments. Read the first two chapters of Peter Luther's "The Mourning Vessels" here. The Mourning Vessels is the first of a series of novels concerning Honeyman, an aesthetic Welsh churchman tasked with destroying the many temples of a Satanic coven. Please visit the News & Reviews section of this website for an announcement as to its publication date.